Canada O’Canada…there can be only one reason for this former Michigander to be humming that particular tune – the Canada Marketplace during the Epcot Food and Wine Festival is back! I got to try the Canada Marketplace this year during opening weekend. As it is every year, this is a hit. It is easily one of the most popular marketplaces, and deservingly so. For more information on the basics of the Epcot Food and Wine Festival, and some strategies and tips, look here. There is no doubt about it, the food is delicious. While the food offerings are relatively limited (there are only two options) that is not a problem for this marketplace. Rather I think it is to our benefit, as they are focused on making both dishes the best they can be. Both items are taken from the menu at Le Cellier, the premier steakhouse at Epcot and one of the hardest to get, not to mention most expensive, Advance Dining Reservations in all of Disney World. The two items are the cheddar soup and wild mushroom filet. I tried both and they were in a word – perfect. Even on a hot Florida morning, they truly hit the spot. Mickey loves steak (and that is an understatement), so for him to be impressed is, well, impressive. The filet was perfectly cooked (and I like my steaks medium rare ) and the mushrooms are an excellent complement. I love mushrooms, but Mickey does not, and yet, we both were satisfied. The cheddar soup was also amazing. Yes, it is just cheddar soup, but it is perfectly seasoned and the pretzel roll can’t be beat. I have a soft spot for ice wine, if by soft spot I mean I can’t pass it up. I am not a connoisseur by a long shot; I’m more of a drink what I like kind of girl. The apple ice wine at Canada is a nice, sweet, but refreshing, ice wine. Fair warning it is a very small pour. I took tiny sips and made it last while I finished the soup and filet, but it could easily be finished in a sip or two. Generally I am a fan of miniaturized things, but not when it comes to alcohol (although airplane bottles are cute). According to Josh from easyWDW, the ice wine is actually a good value. Since I liked it and want to justify having it again, I’ll take his word for it. Sorry to report I didn’t try any of the other drink options – Moosehead Radler, a lager, and, Fielding Estate Red Conception, a red wine. Since I don’t have unlimited funds or stomach space, I am sticking with trying things I think I will like. Josh from easyWDW (link above) has a good review if you are interested. 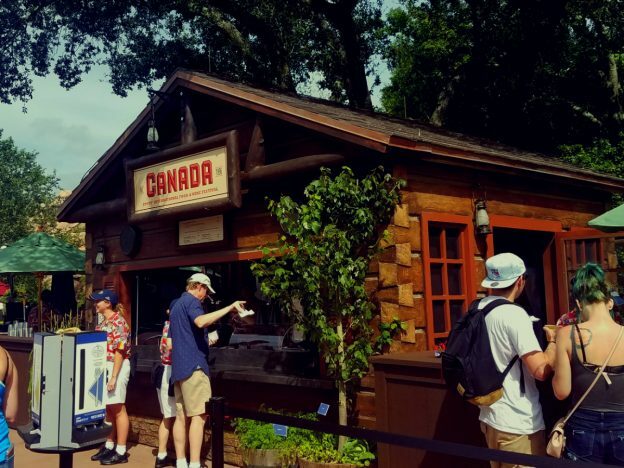 A word of caution, Canada is one of the most popular marketplaces at the Epcot Food and Wine Festival, so the lines are often long. It is a fast moving line and definitely worth it. Also, there are two sides to the line, so don’t forget to check if the other side is shorter. All in all, Canada is a must do for all non-Vegans, especially if you won’t be dining at Le Cellier. It has a great reputation, so it is deservingly popular. The lines to this get long, but I would say even if they lines are long if you like steak or cheddar soup or just food in general it is worth it. The Canada Marketplace should definitely be on your to-do list for the 2017 Food and Wine Festival. In fact, it is still on mine and I will be back on my next visit. Have you tried the Canada marketplace this year? What did you think? Leave a comment and let us all know. As always, if you have any questions, leave a comment or send me an email. Follow along with more adventures on Twitter and Instagram. This entry was posted in Epcot, Epcot, Events and tagged Alcohol, Canada, Canada Pavilion, Drinks, Epcot, Epcot Food and Wine Festival 2017, Food, Reviews, Rides, World Showcase on September 28, 2017 by Minnie. I sadly tend to always pass by Canada, but definitely need to stop and explore it a bit more. I will be getting back before Food & Wine ends and it sounds like I would really enjoy the ice wine. Nice post! Thank you. I hope you enjoy it. Definitely let me know. 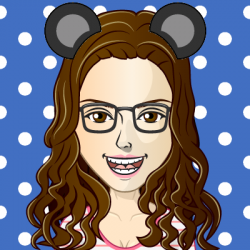 Thank you for the WDW info! Thank you so much! I will check it out. the views of all friends concerning this post, while I am also eager of getting experience.